What’s Right with Loc8 Code? Postcodes ‐ WRONG WAY TURN BACK! Why the proposed new National postcode will make Ireland’s property addressing system worse rather than better! After more than a decade of promises and missed deadlines, we are told now that we will have a new National postcode sometime during 2015. So we can all now sit back with a sigh of relief and take it that Ireland’s property address problems are all over. We can assume that ambulances, fire tenders, couriers and other service providers will never have a problem finding a house again…. or can we? Well, having closely watched the postcode debacle through 3 Governments and now on to the 4th Minister, it seems to me that this will not be the case at all. In my opinion, the decision makers are going the WRONG WAY about it and, yet again, we need to TURN BACK the clock and go back to the postcode drawing board! In 2005, the Postcode Working Group, appointed by then Minister Noel Dempsey, published a report in which it listed 9 key requirements of the planned National postcode. One of those requirements was that the postcode “must address the issue of non‐unique addresses without asking people to change the name of their townland, parish or county or ideally any element of existing addresses” Another of the requirements was that “ it shall be structured, at least to the level of small spatial areas within each county”. However, because the latter of these two requirements has not been satisfied in the proposed postcode design, and because the Data Commissioner has objected to the fact that the code identifies an individual property, the postcode, to be called “Eircode”, will never appear in the public domain. It will never be publicly visible and, therefore, will not satisfy the first and, in my opinion the main requirement;‐ to solve the problem of Ireland’s significant non‐unique property addressing. This is epitomised by the simple fact that nobody walking along an unfamiliar road will be able to see a local element of the postcode in public view which they could quote as their location if they had to call the emergency services. This is because the proposed postcode has only two distinct elements;‐ the first part being the 3 character postal element which could be several townlands wide in rural areas and, therefore, not at all useful as a street or locality indicator, and then the last part, which will be 4 characters long and no more than a coded and random property number which can never be seen in public view or interpreted by a human. The long standing problem of the absence of street/road names in many areas and the similarly problematic absence of property numbers outside urban areas, or their erratic or non‐ sequential nature where they do exist, will not have been solved. A total reliance on an electronically delivered postcode database, which will cost a significant annual license fee to access, is being proposed instead but this will not always be practical or useful for resolving the issues. Even if it was, this approach forces an over reliance on specialised technology to access, interpret and find the postcode;‐ something which was also specifically identified as a key requirement to avoid in the 2005 Postcode Working Group report! And this is without mentioning the fact that, unbelievably, the standard form of the Eircode database will have no geo‐location information in it at all; ‐ even though it’s website and marketing material misleadingly bills it as a “location code for Irish addresses”! These and other major issues with the design have already resulted in some influential industry groups suggesting that the proposed postcode may not be fit for their purposes. The Freight Transport Association of Ireland is the most recent to publicly raise issues on behalf of its very influential logistics and retail industry members and, once again, this puts realisation of a suitable postcode;‐ already 50 years behind that of our nearest neighbours, in serious and very controversial jeopardy. Ireland’s non‐unique and ambiguous property addressing system results from historic factors which have never been tackled since the foundation of the State. As a result, the problem is one that causes many complications on a daily basis. In recent years these problems have been exacerbated by the substantial increase in goods bought over the internet and the related transfer of dependency away from An Post deliveries to courier package and parcel services instead. The current and projected continued growth in e‐commerce related deliveries in itself is a major incentive for solving the address problem but, so also is the fact that public safety is undermined on a daily basis by ambulance paramedics regularly being unable to find where casualties are. However, because An Post works on the basis of the learned local knowledge of its postmen (and women), it has been adamant for years that a postcode was not needed to solve the problem. Instead, over many years, An Post has actually made the address problem worse for everyone except themselves by forcing the use of “postal” addresses. This involves adding reference to the “postal town” where mail is sorted into a traditional address; ‐ thereby removing vital geographic clues and replacing them with operational clues relating to its own internal sorting processes which, of course, only An Post itself could find useful. In effect, this practice changes addresses. This itself is contrary to the 2005 Postcode Working Group requirements, and makes what is already ambiguous even more so. Mistakenly, it would appear that there is anticipation about that this practice will cease once Eircode finally arrives. However, this is not actually going to be the case. In announcing the new postcode back in October 2013, the then Minister, Pat Rabbitte, announced that use of the new postcode would be “optional” and that mail addressed without it will still be delivered in the current time scales. This means that An Post will have to continue to insist on its own “postal“ address system being used. We can only assume that the Minister stated this because An Post cannot justify spending the millions necessary to fully integrate the new postcode into its automatic sorting operation as the mail business is rapidly contracting and already loss making at this point in time. Furthermore, whilst the tender competition for the new postcode was still ongoing, An Post fought in the High Court to justify maintaining its “postal” address system and overturned a case from COMREG to allow the traditional geographic addresses to be used instead. In winning the case, An Post also had itself adjudged as the de-facto address authority in Ireland! Yes, it is hard to believe, but it is true; ‐ Ireland has no public body which is formally and legally responsible for property addressing standards and practice. The way it works is that Local Authorities approve the naming of roads and estates by developers and the ESB and the same developers apply property numbers (where they exist) when properties are connected to the electricity supply. The fact that they are not necessarily connected in sequence causes the erratic and none sequential numbering problem that many who try to find houses around Ireland know all too well. Finally then, An Post adopts these names and numbers and adds its own “postal” element to create what we all know in Ireland as our “postal address”. The new consortium set up to manage Eircodes will take no responsibility for any of this; leaving the Local Authorities continue as before with An Post remaining as the de-facto final addressing authority. In other words, the advent of a National postcode will not remove any of the issues that have added to the ambiguous addressing problem and, the postcode itself, because it has to be invisible in the public realm by virtue of its design, will not change this. A requirement for those with property numbers to display them clearly will not even be introduced. So the confusion will remain, except that the new postcode license holder and its postcode database will have been introduced into the address ambiguity mix. The first of these relates to Fine Gael and the former Minister for the Environment, Phil Hogan. The Irish Times of the 1st May last carries a report by Fiach Kelly titled “Fine Gael wants to let you change your street’s name” in which he reports that, as part of their Local Election Manifesto, they are going to“introduce new regulations as part of ongoing local government reforms to make it easier for residents to change the name of a street or locality by a simple majority of the registered electors”. This effectively means that community groups and residents associations will be able to add further confusion by voting for alternative street, estate or locality names! The result will be even more ambiguity and it will cause significant issues for both An Post and the postcode license holder who have to keep their address databases up to date. In the end it will result in even more problems and costs for the public, for tourists and for businesses who have to find places along our streets and roads and it will also further undermine public safety by causing an even greater degree of difficulty for the emergency services! The second issue relates to the fact that Ireland will be effectively running two post codes simultaneously i.e. Eircode and the existing An Post “postal” address system. An Post will have to ensure their system continues to be used because, as noted earlier, the new postcode will be optional. If neither Eircode nor the “postal” address were used on a mail item, then, delivery in a reasonable timescale could not be guaranteed at all by An Post. This will also add considerably to address confusion. It is understood that the first 3 characters of Eircode will directly relate to An Post sorting processes at the time of launch. Hence we will have D04, D12, D6W etc. in the Dublin city area and new versions of the same such as C77 or A65 for the rest of the country;‐ all these being directly related to An Post main sorting offices and towns. There is long standing evidence that these existing and new postal area allocations will have major implications for property and business values around the country. This point is raised in an article written by Mark Keenan in the property section of the Irish Independent on the 2nd of May last. In his article called “Don’t tweak with our postcodes” he warns those of us outside Dublin that we will not “understand what the fuss is about until Eircode numbers you all up and the estate agents start extolling the virtues of Montenotte C412 over Montenotte C413 or Taylor’s Hill G213 and G214” However, this is not the main point of his argument and not my point about the 2nd new cause of address confusion. The point Mr. Keenan raises is that An Post regularly changes Dublin postal codes and by extension “postal” addresses in general around the country. He states that when he closed the deal on a house its address was Dublin 6W but, by the time he got his first mail through the letterbox it had been changed to Dublin 12. This is, in fact, a routine action by An Post which many right across the country will be familiar with. Because postal sorting and delivery operations change as a result of declining volumes and changes in property densities, as well as other operational matters, it is common for An Post to change postal codes in Dublin and “postal” addresses everywhere else. 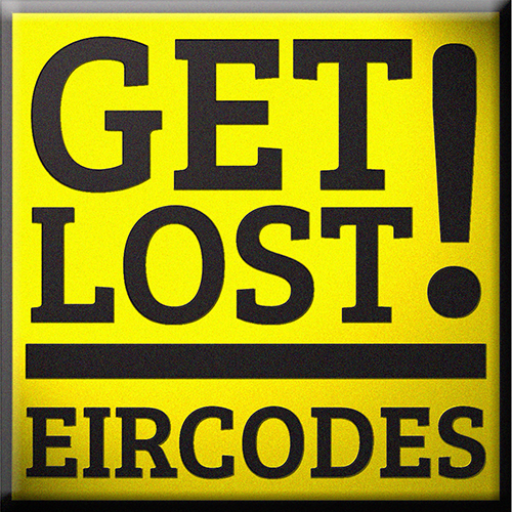 Therefore, if Eircode is supposed to mirror these, as is the stated intention of the designers, then you might assume that they will have to change Eircode frequently also to keep it aligned with An Post.This would be normal in other countries and it results in ongoing costs and implications which very often lead to postcode lobbying, protracted protests and legal disputes. However, it is suggested that the new postcode operator will not in fact do this at all. Instead,it appears that they propose to keep the new postcode fixed exactly as is on the day it is launched. Whilst this sounds like a good idea, the reality is that because the Eircode will be optional in the first place and because An Post will have to maintain use of its system as indicated earlier, Ireland will, therefore, not only have two postcode systems simultaneously operating,but, even worse again,it is going to have two potentially conflicting ones as a result. Why? Well, using the example Mr. Keenan raised in his Irish Independent article, let’s take the case of his address in Dublin 6W. This will, therefore, be“D6W” for the new postcode at the launch date. If a few weeks later An Post changes the address to be in Dublin 12 instead for their operations, then new postcode operator tell us that their postcode will remain as “D6W”. This will effectively mean that something sent to that address will potentially have two conflicting postcodes e.g. ……………….the last line of the address being the new postcode which will be potentially conflicting with the An Post one on the previous line! This newly created problem, which will add another layer of ambiguity and confusion to our property addressing system, will, in time, spread across the whole country confirming that the proposed postcode will not solve the address problem but, instead, will have added considerably to it! In fact, this particular issue may indeed cause a legal problem for the Department of Communications and its new Minister Alex White. It is under the postal act that the authority to have a postcode at all in Ireland is given since it was amended for the purpose in 2012. However, if the new postcode evolves to be different and at odds with that used by the universal postal operator (An Post), then it could be reasonably argued that the new postcode is, at that point, no longer a postcode but rather just a unique property identifier and, as a result, there may be no legal justification to have it at all from then on! And if this confusion was not bad enough,add into the pot of confusion the fact that the National Road’s Authority (NRA)recently identified that the new postcode would be of no assistance to them either as a public safety tool on their road network. As a result, they too have now introduced their own road addressing system; ‐ a kind of modern mile (kilometre) marking system which is has started to appear on our motorways. I have no doubt it will spread to all roads in time. Most will have seen these modern “mile markers”close to motorway margins with “M8N 25.5“or similar displayed on them. Of course, this makes sense if you are reading it whilst driving along the Motorway itself,but if you are a rescue vehicle trying to get to that marker from somewhere else via the correct junction, then the only way you can interpret it is to look up a related database, establish the related location and try to navigate to it. Sounds easy except, similar to the proposed new postcode or even the existing An Post “postal” address, unless you have access to the related database, and unless that database has geo‐ location information, then it will be problematic to find the correct location. So too have Local Authorities put their own codes on lamp posts and bridges as have Bord Gais on the Gas pipeline markers and none of these are the same design and nor can they be used by the public for emergency or general public safety needs. They are all adhoc designs for very specific needs, conceived without reference to the wider public need or as part of a national addressing or postcode system. These ad hoc solutions were forced into being by the long and inexcusable delay in delivering the new National postcode, the absence of a meaningful understanding of the wider needs and now the limited capability and design restrictions of the emerging Eircode.The limitations and restrictions of Eircode, coupled with the need for it to work alongside an existing but potentially conflicting An Post system, as well as the proposed new ability for residents to change their addresses and the absence of proposals for a single address agency to standardise the management and visibility of property addresses, highlights that address confusion is now actually being added to rather than being resolved and, yet again for Ireland, it shows that there is an absence of proper joined‐up thinking! Simply put, the proposed new postcode, for which some commentators are claiming the Irish economy will fork out over €100 million, will not solve Ireland’s addressing problem, it will not satisfy the requirements identified by the Postcode Working Group in 2005 and it will, in fact, create less address standardisation and even more address ambiguity and confusion. In the interest of solving these problems, whilst saving a lot of potentially wasted money and improving public safety, a new national postcode should be put on immediate hold until a new national address committee, possibly within COMREG, is established. This committee would specify the standard for what exactly the country needs once and for all. Whatever is then decided, must be a truly modern solution to suit all requirements (including the NRA, Local Authorities and Bord Gais amongst many others) and must, as a minimum, apply joined‐up thinking to fully satisfy the 9 minimum requirements as detailed by the Postcode Working Group in 2005. The new committee would have to have the authority to specify and approve property numbering and new addresses from scratch and to recommend sanctions where numbering and local postcodes are not suitably visible in and on buildings and along public routes with Public Safety (native and visiting) as the number one concern. Whilst it is the case the Noel Dempsey approved the idea of postcodes but then left the Ministry shortly afterwards, then Eamon Ryan followed and had great difficulty progressing the idea but started the postcode tender and then very quickly left the Ministry and Pat Rabbitte took his place and had difficulty concluding the tender process for almost 3 years but finally awarded the €25 million postcode contract before also leaving Ministry without the job done;‐ it remains to be seen if the new Minister, Alex White, can do better than all before. I encourage him to finally do the right thing by joining all the dots for a fit for purpose postcode against the background of a properly functioning property address and management system to bring this ever‐ ongoing saga to its final conclusion. It would be matter of serious embarrassment for the new Minister and the Country, if, at the end of his term, either the dots have not been joined on our property addressing system, or if a postcode that nobody will use has been delivered but subsequently binned! Capita PLC – An Apology!! !